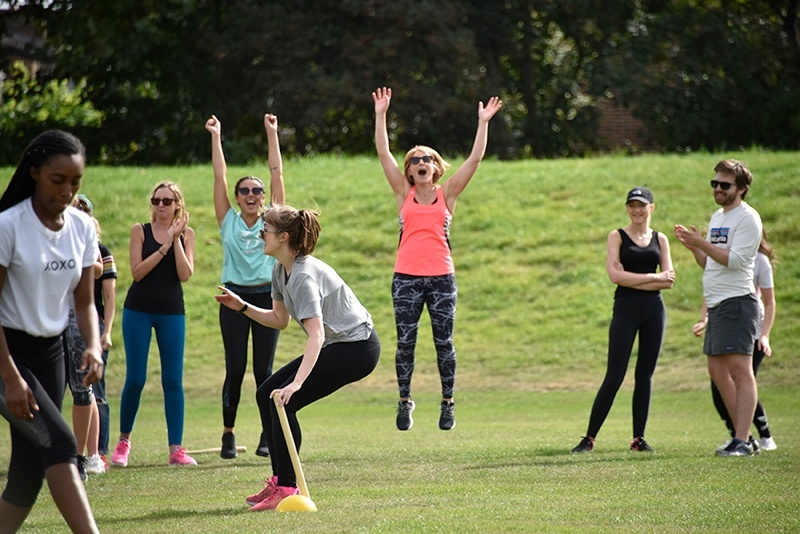 On a balmy late summer’s day, in the annual journalist vs communications cricket and rounders ding dong, Flaks came out on top, writes Sorrelle Harper (Sharpener Communications) and Jamie Ricketts (FTI Consulting). Most importantly, the summer sports day raised more than £12,000 for the National Autistic Society, with generous contributions from lead sponsors Lowell and Yopa, and co-sponsors Ascot Lloyd, Brewin Dolphin, Blackstock, CBRE, EY, FTI Consulting, Vismedia, Emperor and Sharpener Communications. Cricket goes to the Flaks again. In time-honoured fashion, some of Britain’s (erm) finest contrived to find every conceivable way of getting lost before the game. One journalist ended up chatting with a bride and groom on their big day, before realising he was in the wrong place. 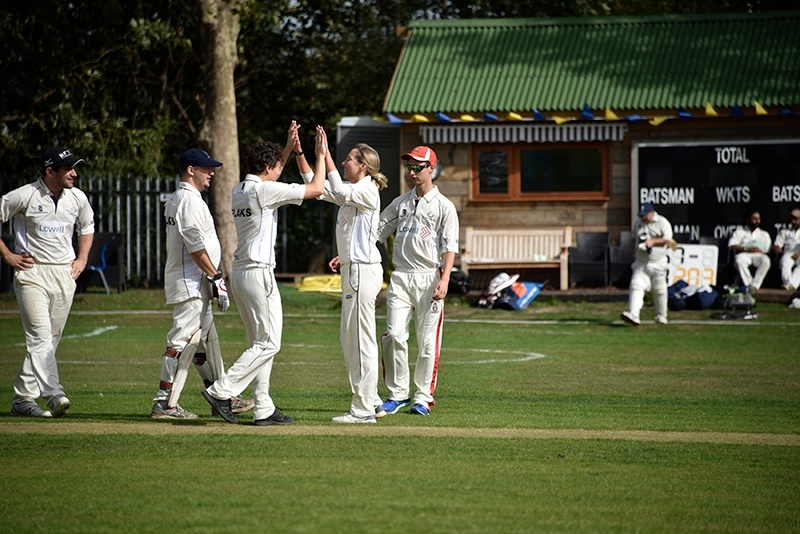 Another went to the Shepherd’s Bush Cricket Club – a fine setting, but not the venue for this match. The Hacks pinned back the Flaks with relentless line and length from the FT’s Fergus Ryan and freelancer Matt Craig. Skipper Dan Hyde (Mail on Sunday) had a spring in his step as the Flaks stuttered. Tom Harper (EV8 Technologies) flickered with some imperious hitting, but no sooner had his better half appeared to cheer him on, than he spooned a catch to mid-off. Adam Davidson’s (FTI) jaunty cameo was also ended by a quicker ball from the effervescent Eklavya Gupte (S&P global Platts). Up stepped the Flaks’ secret weapon – a somewhat drowsy Ed Brown (Smithfield), who faced six balls before showing any hint of life. Thereafter he burst into action, smote lustily, and he and Laurence Jones (Dragon) sent a vast array of cricket balls into the neighbouring county. At one point we feared the game would end due to lost balls. Photographer Justin Thomas took his moment in the limelight, performing a triple axel as he dodged one of Ed’s flying bullets from his camping seat. The Flaks set the Hacks 204 to win in 30 overs. Joe Mayes (Bloomberg) decided to get the job done early. He pushed, flicked and hoicked his way to a bristling 50 without breaking sweat. The Flaks looked around nervously for someone to break the deadlock – and to get poor old Andrew Ellson (Times) out so he could attend his own daughter’s birthday! Tessa “Chaminda Vaas” Bruyns stepped up – Euromoney’s female (indoor) international cricketer. She bowled a flawless line and picked up two sterling wickets and the player of the match gong. In the blink of an eye, Alex Brennan (Hudson Sandler) took four quick wickets with his left arm spin. Had he not over-stepped with a hint of the Mohammed Amir, he would have had a five-for. Eklavya Gupte gave the Hacks some hope with some late hitting, but was caught effortlessly by Ed Brown off Jamie Ricketts, and the Flaks cantered to a 40-run win. Rounders goes the same way as the cricket. The rounders teams had their traditional pre-match oiler of a beer or two before settling into the field. Conviviality was soon replaced by fierce competition as the flaks notched up a substantial lead of 6 rounders to 2.5 after the first innings. Alex Read from Redleaf took a couple of impressive early catches, with Dom Staindl from .ing lunging a one handed catch of the match which saw another hack off the field. Undeterred, Anna White (freelancer for the Telegraph, Standard and Estates Gazette) smashed the ball around the field with some additional valiant efforts from Jessie Hewitson at The Times and Ros Snowden at the Yorkshire Post who charged around the field despite a ball to the face. However, the relentless power of Pippa Bailey from Montfort and Jess Liebmann from KPMG saw the flaks victorious with a definitive final score of 11 to 6.